Royal Harbor is a Naples Florida neighborhood of single family homes conveniently located on the eastern shores of Naples Bay and on connecting channels to the bay. The community consists of a little over 400 homes and lots. Prices range from the low $900's for "as is" or lots on the channels, to over $4,000,000 for new spacious homes on the bay. 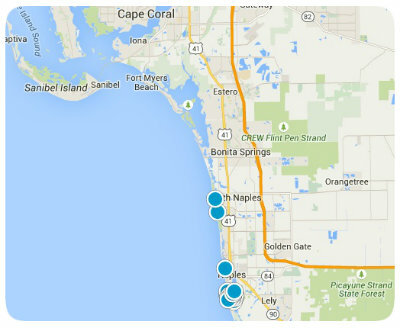 Over 80% of residents list their full time address as Naples. The majority of the homes were mostly built in the 1960's and the 1970s. Starting in the late 1990s and through the 2000s, those homes were being torn down, making way for the new and improved. Many residents enjoy the boating lifestyle. Royal Harbor is located near the heart of Naples. Just minutes away from the fine dining and shopping of 5th Avenue and Old Naples beaches.